This is an exciting whiskey release season so far! Many new and intriguing expressions, limited releases and collaborations are hitting the marketplace this autumn. 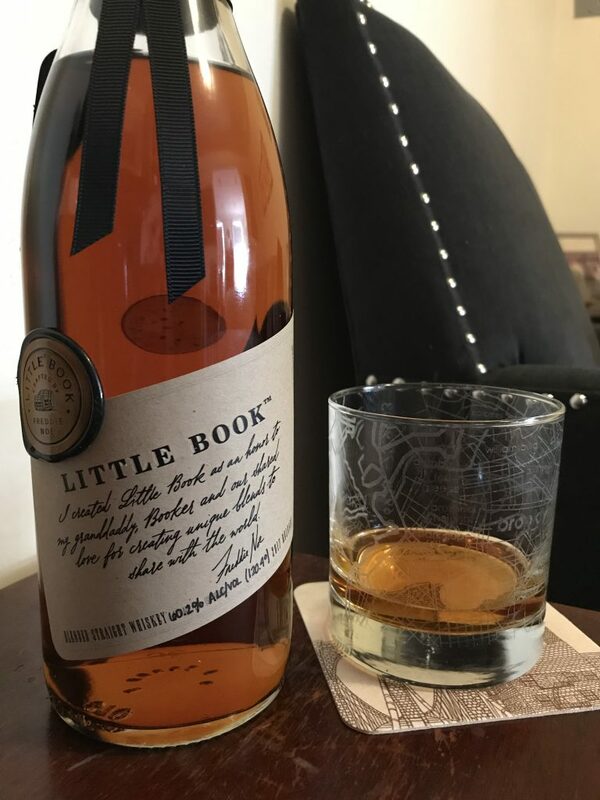 One that’s very near and dear to us at Alcohol Professor is Little Book, the very first product release from Freddie Noe, son of Jim Beam Master Distiller Fred Noe. “The Easy” is the first of what will become an annual, limited edition release and each one will be a unique blend selected by Freddie. It’s been noted that Booker Noe, Freddie’s grandfather who was the Master Distiller for which Booker’s whiskey is named, once declared: “He’s got a good sniffer on him. He’ll go far in the family business.” Freddie joined the Kentucky distillery team in 2013, working at nearly every job from cleaning and maintenance to apprenticing during the distillation process. It was during his training in research and development that he discovered his favorite part of making whiskey was blending. That was when the idea for Little Book came to fruition. At a special tasting held in New York City over the summer, we tasted the individual whiskeys that made it into the final blend. All of them good sippers in their own right, but there is indeed something about combining them that breathes new life into the flavors. All of the whiskeys are distilled and matured at Beam. Freddie goes on to say about the blend, “With Little Book, I want to carry forward my family's legacy of innovation by creating something new and unique with each year's release. That goal, combined with memories of joining dad and granddaddy at the table, was something that I kept in mind throughout the process. I knew I'd gotten Little Book ‘The Easy’ just right when I found a combination that had the Beam feel to it, but also incorporated some different aromas and tastes to deliver a new experience." He’s right about that. There is a distinct Jim Beam fruitiness and rich nuttiness to the whiskey, and the classic Booker’s high proof, (here 128.2) leathery moxie is hard to miss. However, a delicate, floral, almost green tea-like aroma breezes in along with peppery spiciness to tickle the senses, leaving the palate with a satisfying malty chocolate finish. It definitely invites repeated sips. Little Book “The Easy” available in the U.S. in limited quantities with a suggested retail price of $79.99.